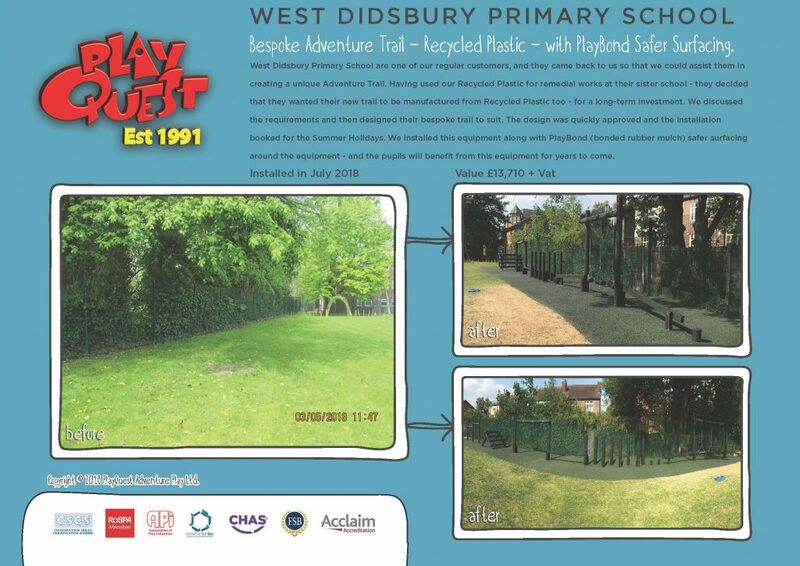 West Didsbury Primary School are one of our regular customers, and they came back to us so that we could assist them in creating a unique Adventure Trail. Having used our Recycled Plastic for remedial works at their sister school – they decided that they wanted their new trail to be manufactured from Recycled Plastic too – for a long-term investment. We discussed the requirements and then designed their bespoke trail to suit. The design was quickly approved and the installation booked for the Summer Holidays. We installed this equipment along with PlayBond (bonded rubber mulch) safer surfacing around the equipment – and the pupils will benefit from this equipment for years to come.